The peace deal signed by warring parties went unheeded. Hoping for harmony can feel naïve. But BMS World Mission’s supporters are armed with the power to pray. Tens of thousands of people have been killed in the world’s youngest nation, and the conflict rages on. South Sudan celebrated independence just seven years ago, but a dispute between the country’s President and his former deputy quickly developed into a broader conflict between ethnic groups. 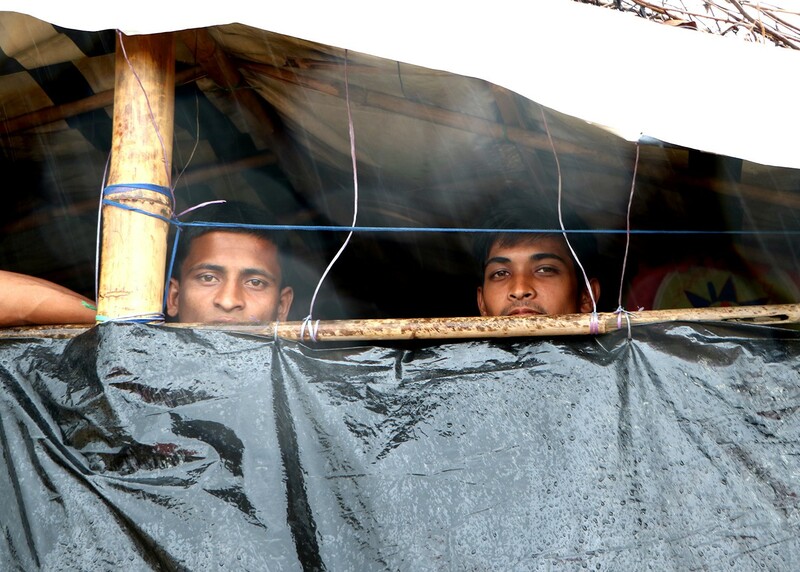 Since war broke out at the end of 2013, over one third of the population has been displaced. These stories are windows into a conflict that is overwhelming in its severity and scope. Why not download these prayers and save them to your favourite device? All you need to do is hit the button below. People like you are shivering with cold right now in Ukraine. Even though they’re inside. You can help keep them warm. Fighting for survival in Ukraine continues long after you’ve escaped the shells that exploded close to your home. The temperature falls to as low as minus 25 degrees in winter, and to survive you must find warmth. But for many people, that warmth is as distant as the peace they once lived in, a peace that must seem even more difficult to hope for after Russia captured three Ukrainian naval vessels earlier this week. Children, the elderly, family after family have all had the foundations of their lives shattered by the war between the Ukrainian army and pro-Russia separatists. We’ve sat with them and heard their stories. And they’re heartbreaking. 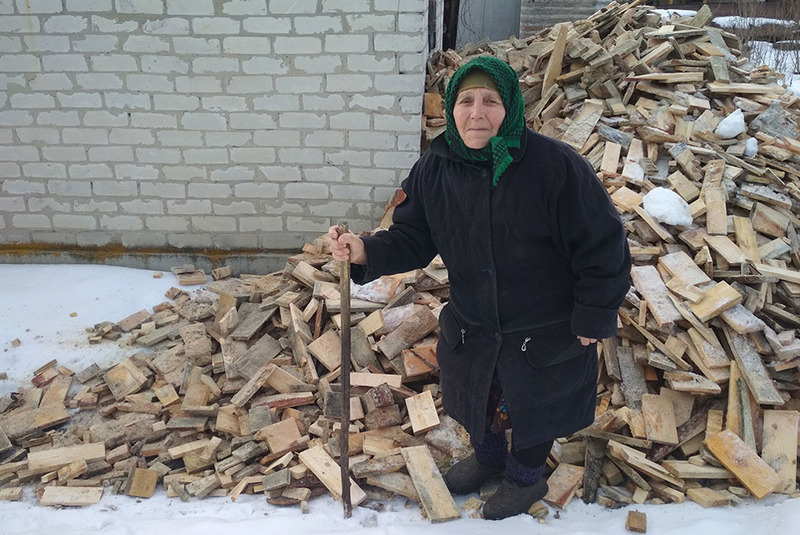 You can help the elderly keep warm in Ukraine this Christmas. Alexander and his family witnessed their town being destroyed by shelling and constant shooting. They had no choice but to flee, though even after they did, they were not out of danger. 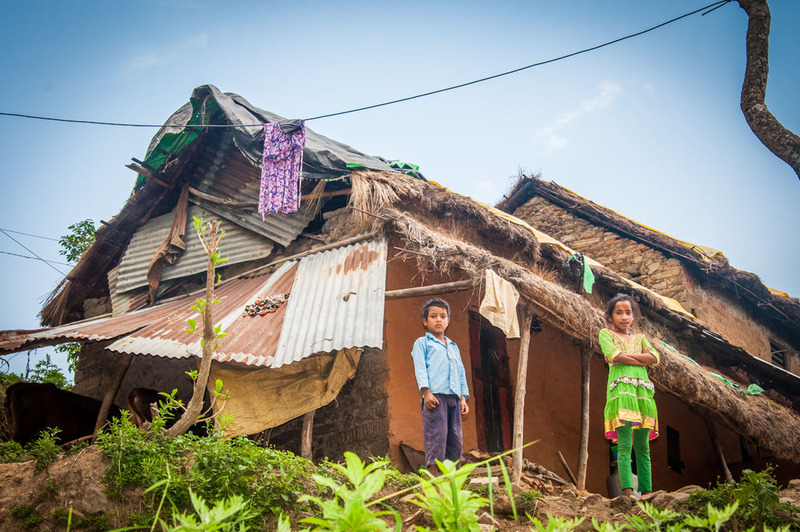 Winter was coming, but the one source of heat in the empty house they found to live in – a stove – was damaged and Alexander couldn’t afford to restore it. Months of watching his children suffer from the bitter cold, in danger of all the illnesses that come from it, lay ahead. Were it not for the local Christians who came to their aid, Alexander, his wife Maria and their five children would have suffered more than the human body can withstand. 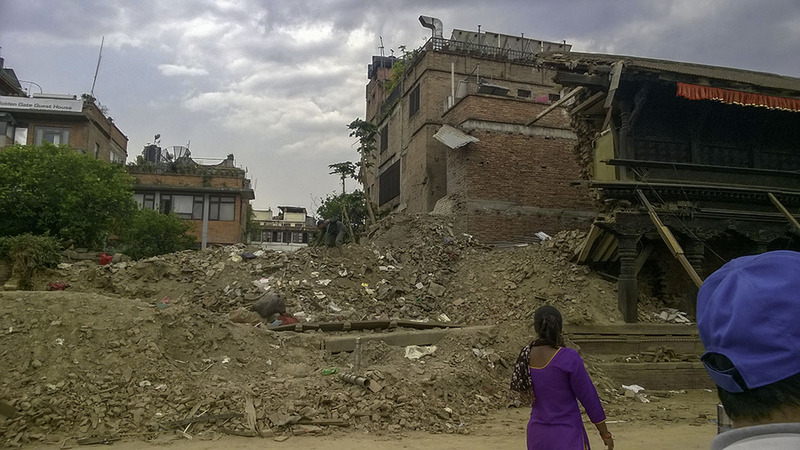 The Christians who helped them are being supported by BMS World Mission. They’re being supported by you. That support provided a ceramic heater for Alexander and his family, providing enough heat to keep one room warm. One place to escape the cold. One place for a family to live. There are countless people like Alexander and his family fighting for survival this Christmas. You can help them by giving today. Alexander, Maria and their five children, have survived Ukrainian winters with your support. 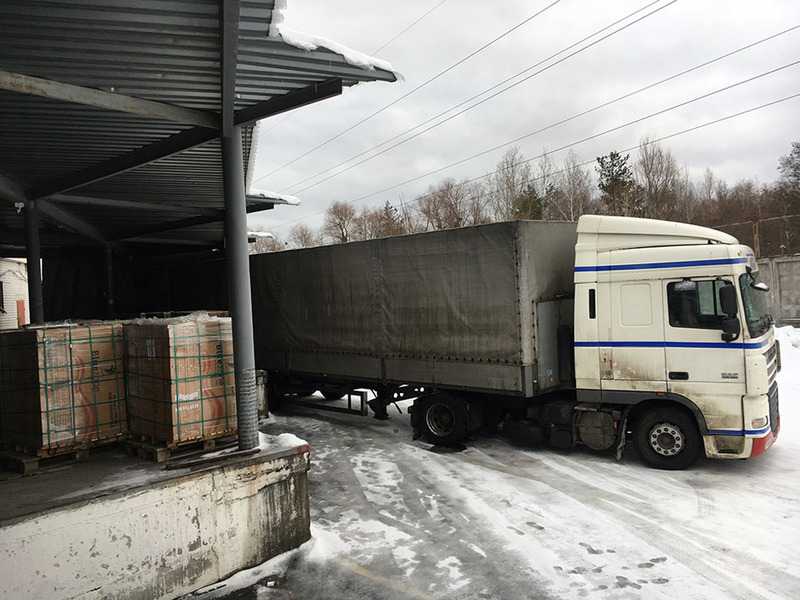 There are local Christians on the ground in Ukraine desperate to deliver the supplies that families need to keep warm this winter. They need your help. Will you make a donation today? As you prepare for Christmas, please do think about giving the gift of warmth to a Ukrainian family like Alexander’s. To the families that Igor meets. To the people who are shivering in a room without a heater because war has destroyed their livelihoods and their peace. Please give today. Please be the difference. Children in Ukraine are shivering today. You can help them. 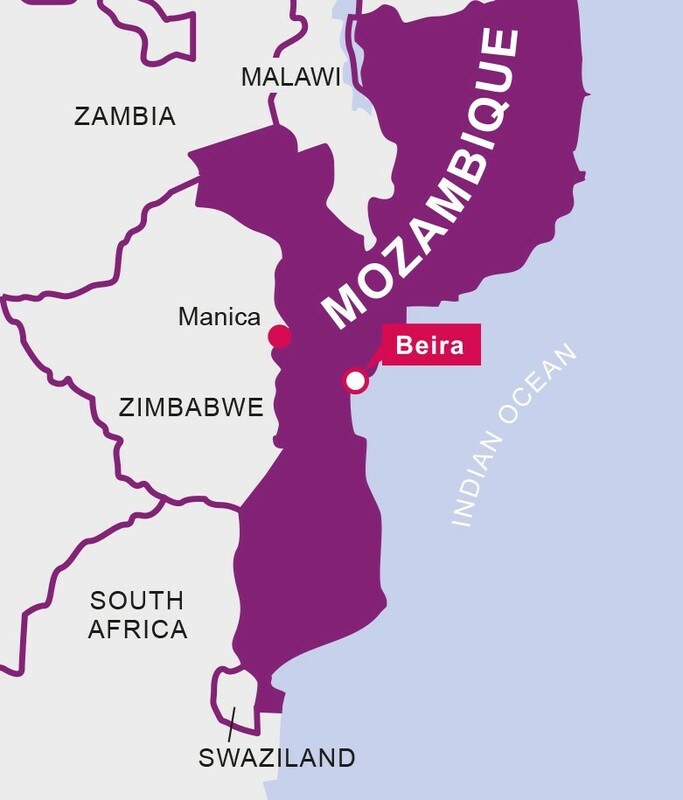 It’s the largest refugee crisis in Africa and the third largest in the world. Over two million people have now fled the conflict in South Sudan, with more than a million of them ending up in Uganda. The numbers are overwhelming – but the people are amazing. And you’ve been helping them. Here’s how. Forced to flee their homes because of the fighting, South Sudanese families arrived (and continue to arrive) in Uganda with nothing. 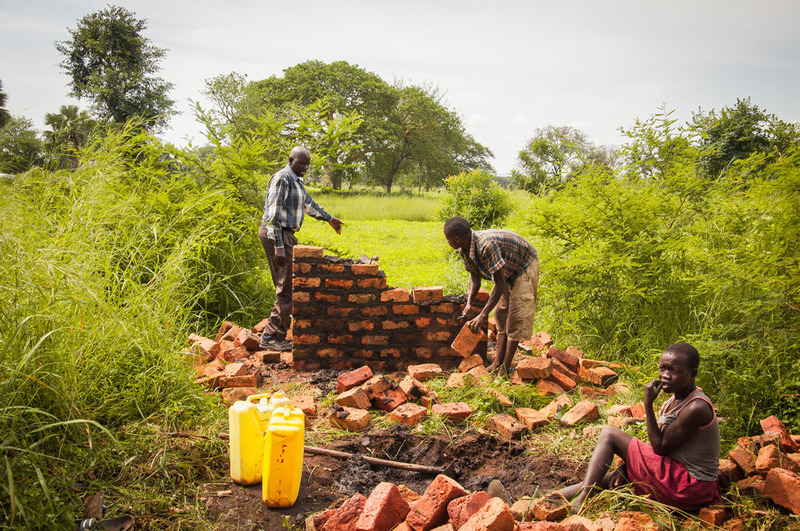 You’ve been supporting some of the most at-risk people in Palorinya and Bidi Bidi refugee settlements, as well as helping those who have settled right by the border with South Sudan. You’re supporting these two amazing men – Patrick and Isaac – to run projects to help displaced South Sudanese people. Both Patrick and Isaac are South Sudanese refugees themselves, and they have huge hearts for those struggling in the settlements. 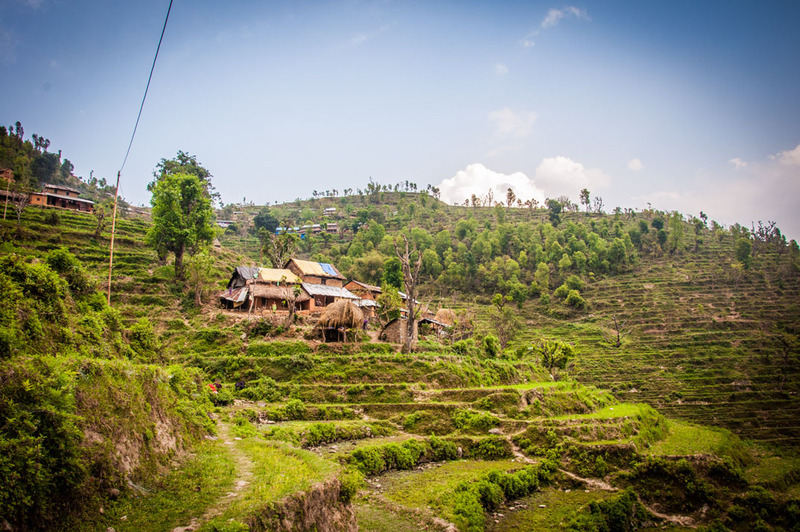 By giving to BMS World Mission, you’re helping them to reach out to people with disabilities, widows, single parents and other vulnerable people. 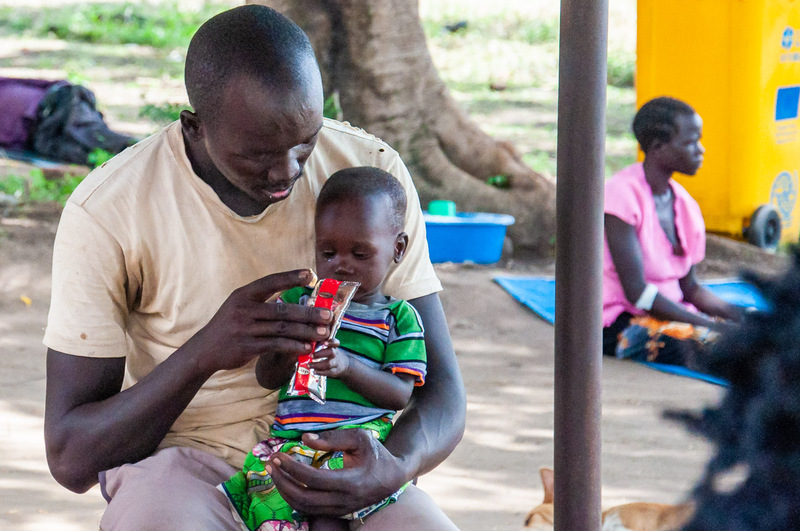 You’ve funded the transport and logistics to enable 1,700 severely malnourished children to access Plumpy’Nut, a special peanut-based paste to help them get healthy again. This little boy is nearly at the end of his treatment and is doing much better! 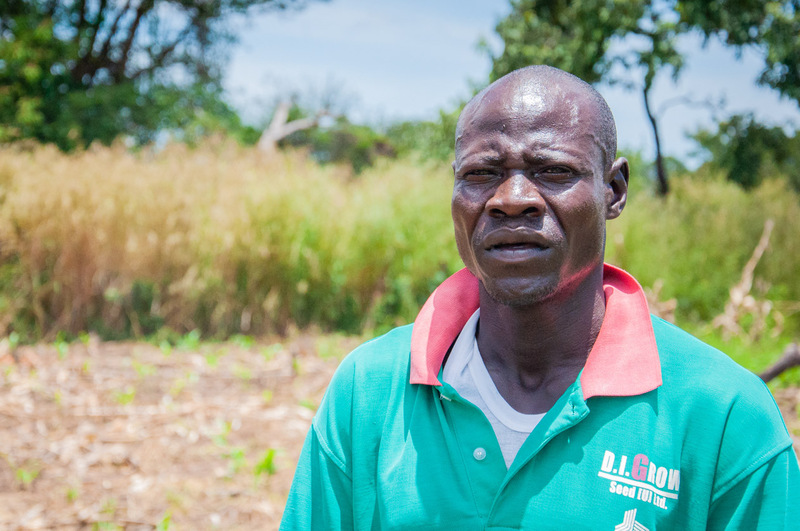 Dube is now growing food to support himself and his family. 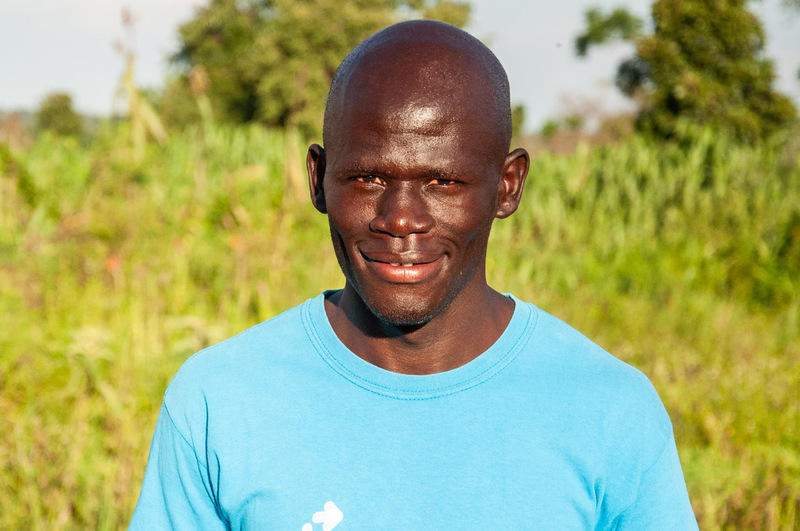 Dube has a disability with his leg, and you provided him with seeds and tools to start growing a harvest. 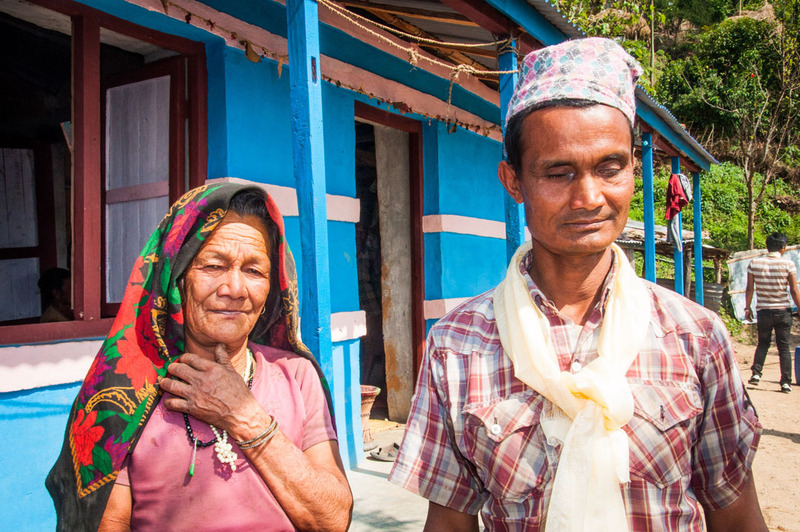 His is one of 100 families you’ve supported in this way. Henry is unable to walk and therefore cannot farm for himself. He has two daughters and his wife left him because of his disability. 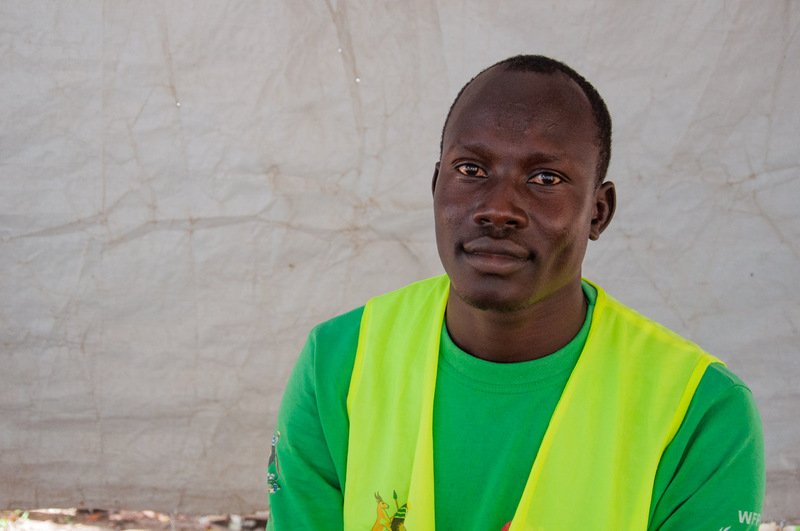 Henry isn’t living in an official refugee camp and so isn’t eligible for government support. You’ve been providing him and 1,000 other people with food rations – essential for their survival. 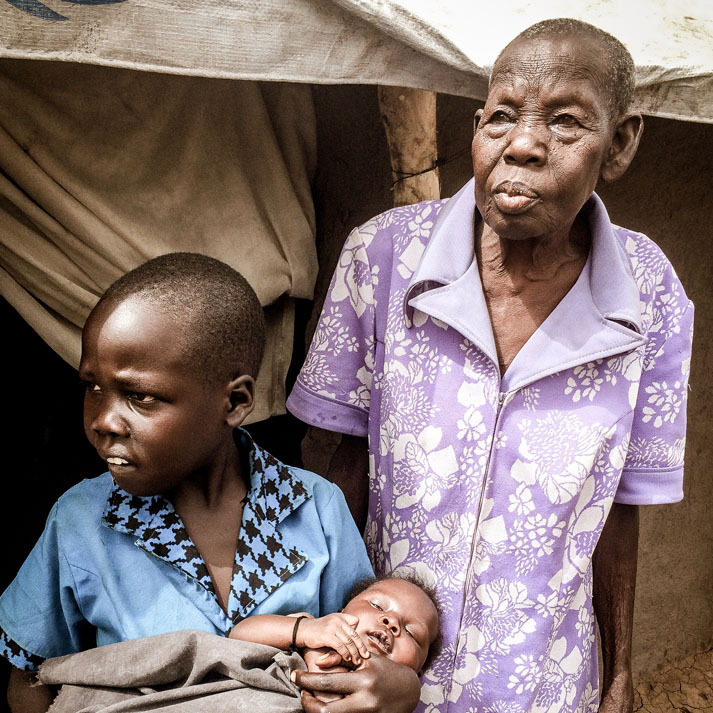 Jane gave birth to her baby, Irene, while fleeing the conflict in her village. 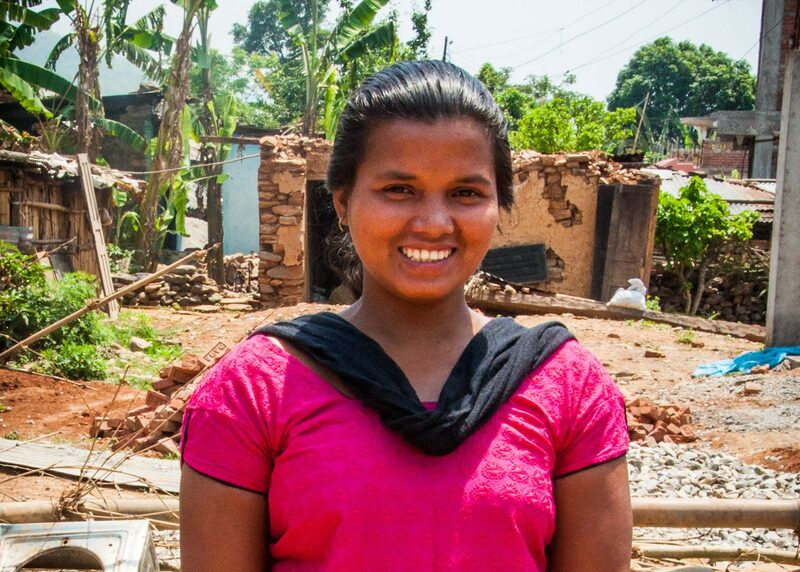 She had no medical assistance, and after she gave birth she had to get up and carry on walking. Her story is not uncommon. Thankfully, Jane survived. But pregnancy and childbirth are terrifying concepts for people living in the refugee settlements. There’s a lack of access to health care, which means health conditions that can normally be easily managed end up costing lives. 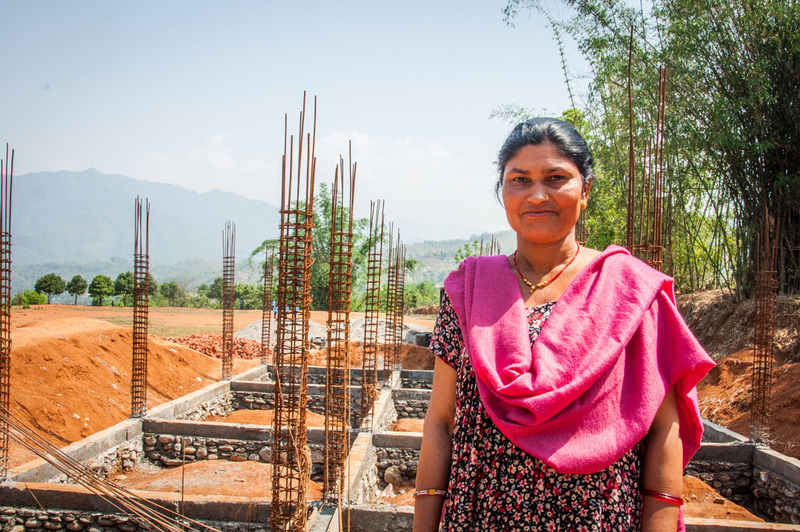 By supporting BMS, you’re helping women access the medical checks they need to stay healthy during pregnancy. Irene is pregnant and has high blood pressure, but thanks to you, she’s aware of her health condition and is being carefully monitored. If anything changes, she will be rushed to a health clinic in Bidi Bidi refugee camp where she lives. Irene found out about her blood pressure because of the cradle device – a highly accurate automated blood pressure device that also detects heart rate and shock index. You helped pay for 714 cradle devices, which means that all 17 NGO-run clinics in Bidi Bidi now have access to it. 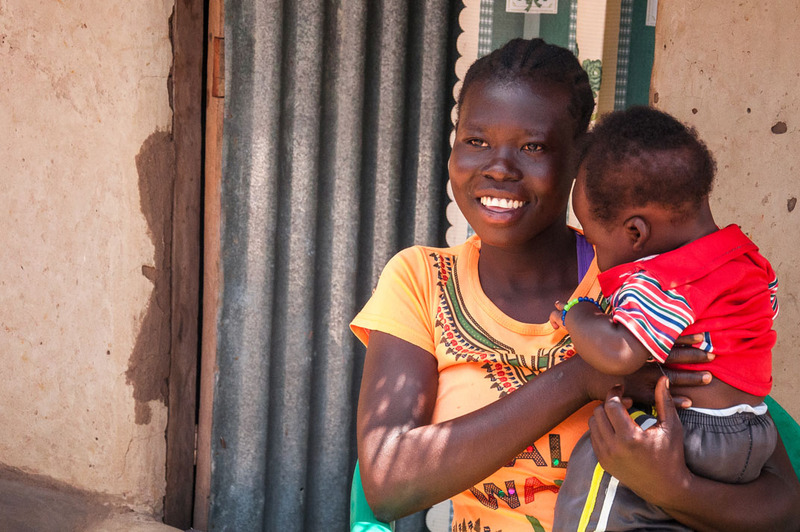 On top of that, over 450 volunteer health team workers covering the entire settlement have use of their own cradle device to monitor the health of people in their community – detecting high-risk pregnancies and other potentially life-threatening illnesses. Women like these are getting accurate blood pressure checks when they come for check-ups in Bidi Bidi’s health centres. That means that conditions that could have been missed before are being identified. 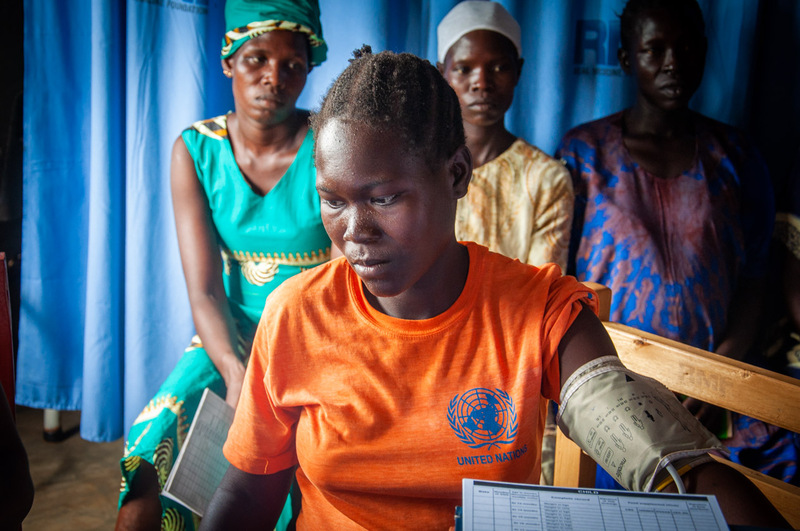 Angok is one of the 450 volunteer health workers now armed with a cradle device. 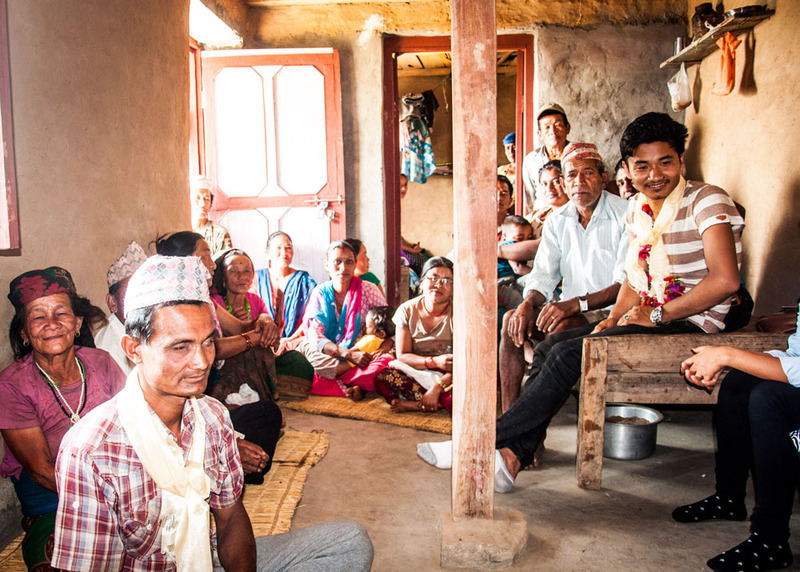 He goes and visits people in his community and monitors their health. 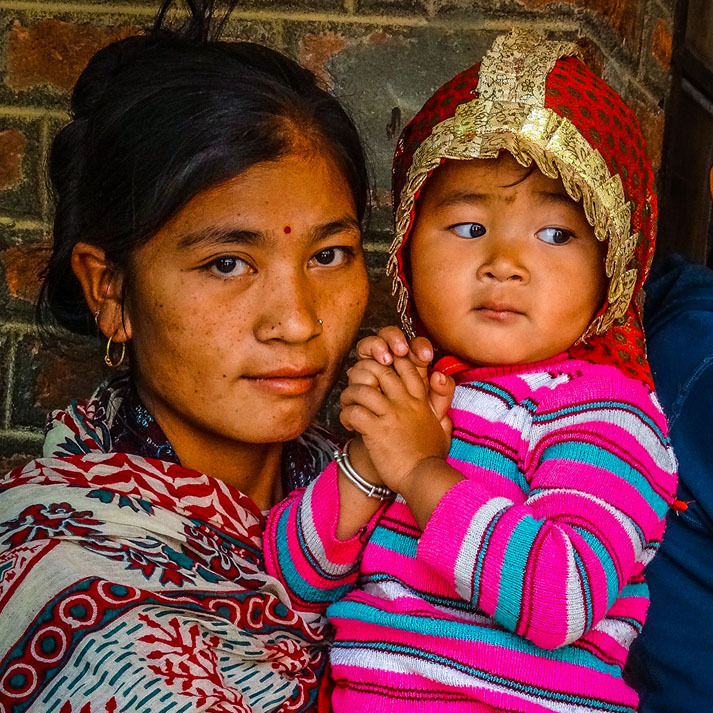 It’s really simple to use the device, and Angok is now able to make sure pregnant women at risk of illnesses like preeclampsia get help before it’s too late. 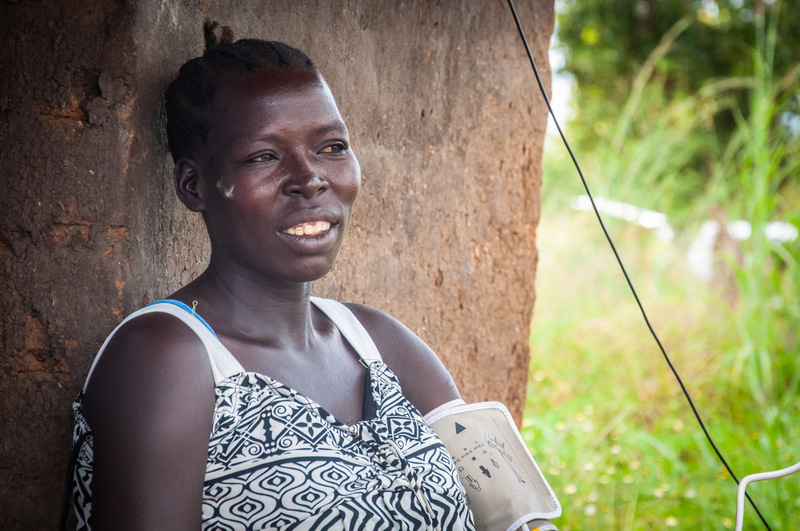 You’re supporting South Sudanese Christians and churches to help people like Harriet. 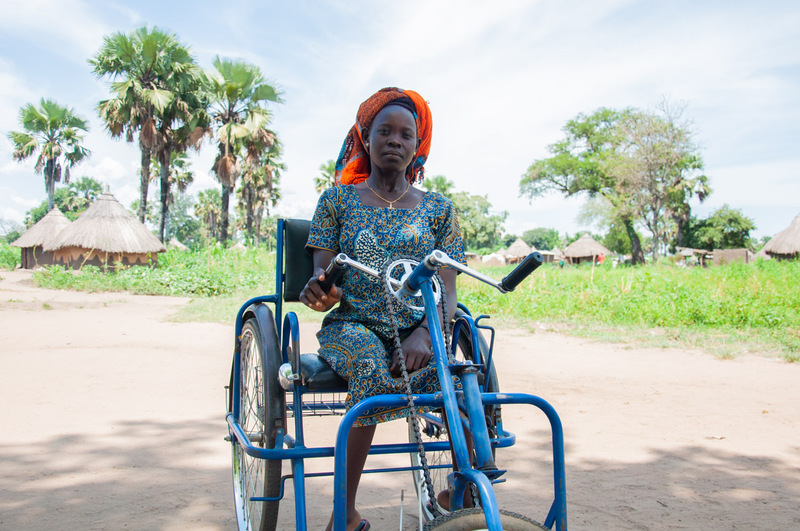 People with disabilities are some of the most vulnerable people in the refugee settlements. You’re helping us to find them, to support them, and to help them and their communities understand that they are important and have value. 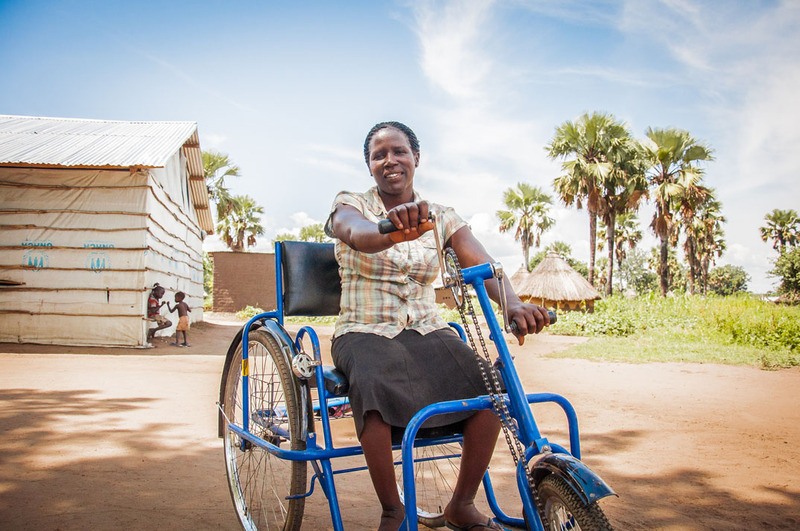 You’re empowering the church to destigmatise disability and make sure the people who need help most receive it. 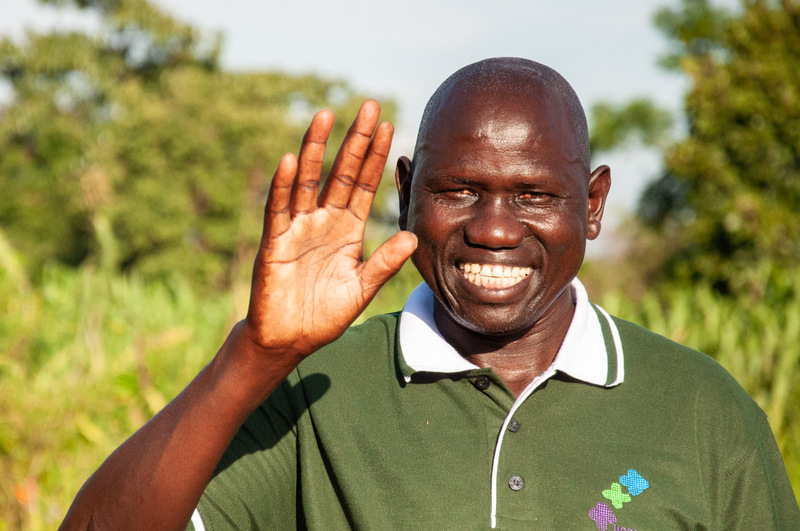 Thank you so much for supporting our work amongst South Sudanese refugees! It’s getting cold in Ukraine. 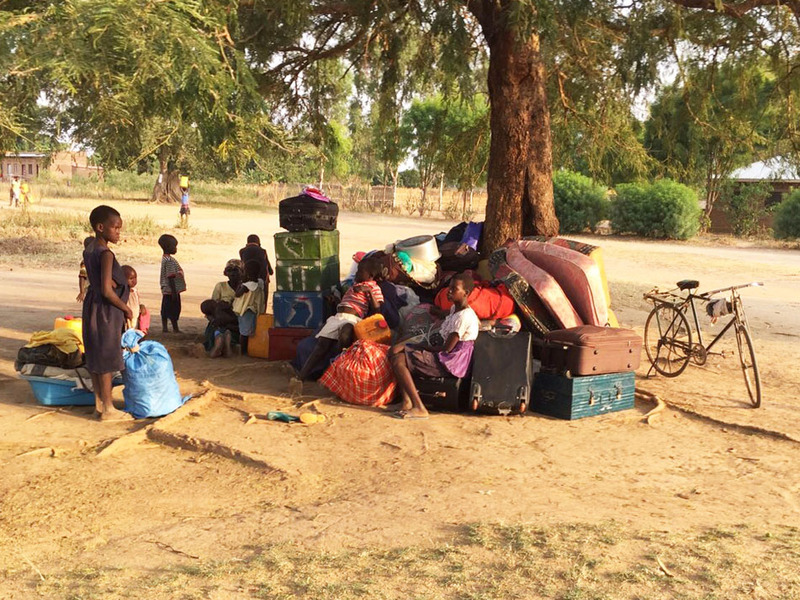 Because of the ongoing conflict, thousands of people have fled from their homes. With winter on its way, BMS World Mission is working to provide heating for families displaced by the fighting. The temperature’s starting to drop. Soon, frost will cover the ground. The heating will be switched on. But for people in eastern Ukraine, ways of keeping warm have been taken away. Along the boundary lines of the Donetsk and Luhansk regions in Ukraine, tension between pro-Russian separatists and pro-Ukrainian groups has caused violent unrest for the past three years, and there are no signs of it stopping. Parts of these regions are now controlled by the separatists, with the Ukrainian government suspending support to the area. As a result, people are without hot water. The central heating no longer works. Coal, gas and electricity are becoming increasingly more expensive, with many people unable to pay their energy bills. And with extreme winter conditions on the way, being able to stay warm is vital for families in Ukraine to survive the next few months. Last year, Sergey, an elderly man living amidst the fighting, had the wall of his home heavily damaged. Not only did this let in the freezing cold, but it caused his heating system to break. BMS helped to fix the wall, and a ceramic heating panel was installed in his house, replacing the broken system. Because of your support, Sergey was able to live through the winter. 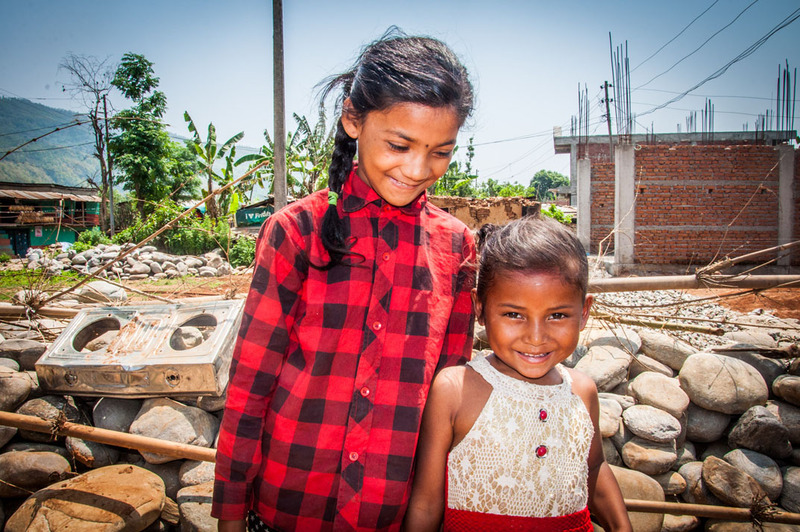 Along with local partners, last year BMS also helped another family with three young children, who had their central heating stop because energy to the building had been cut off. They weren’t able to leave the area because they were looking after their elderly parents. A ceramic heater was installed at their house, meaning they could keep looking after their parents and stay warm during the winter too. This year, thanks to your giving, we are able to help again. 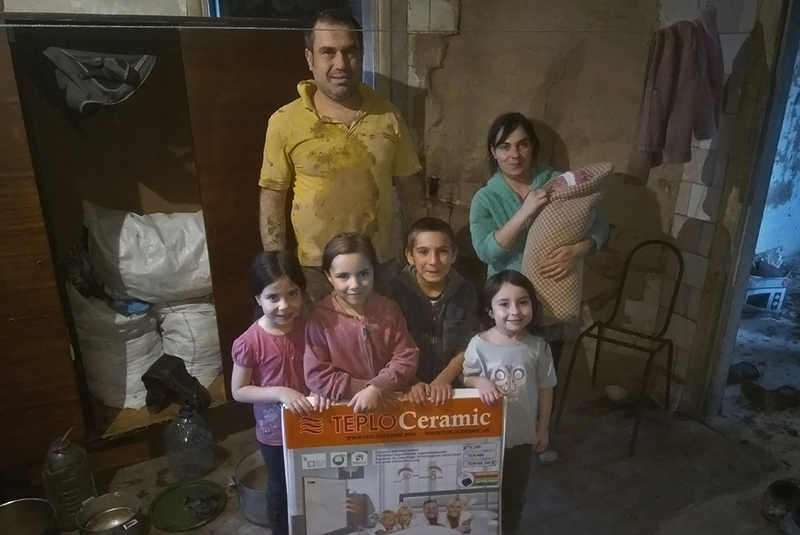 A family keep warm thanks to a ceramic heater given to them last year. Two million people are estimated to be living close to the boundary line of the Donetsk and Luhansk regions, with a further two million people estimated to be living in the non-government controlled area. 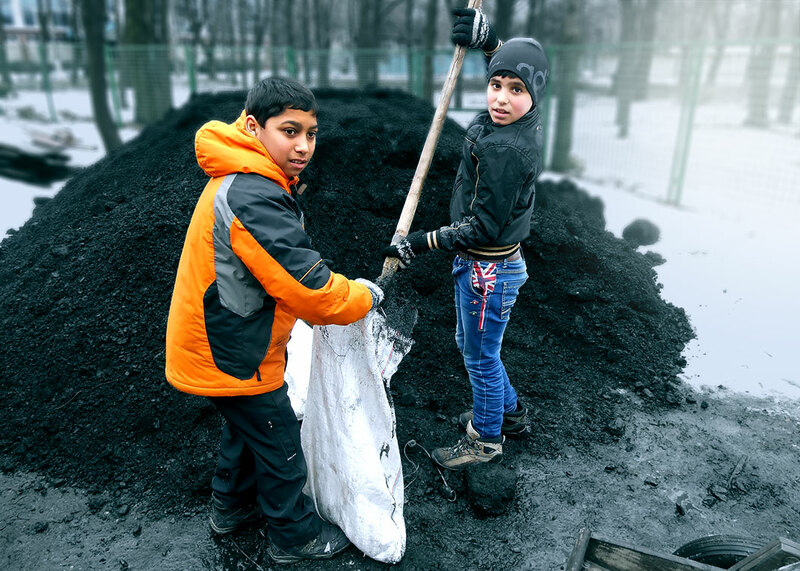 In a crisis of this scale, we’re committed to helping Ukrainians keep warm this winter. 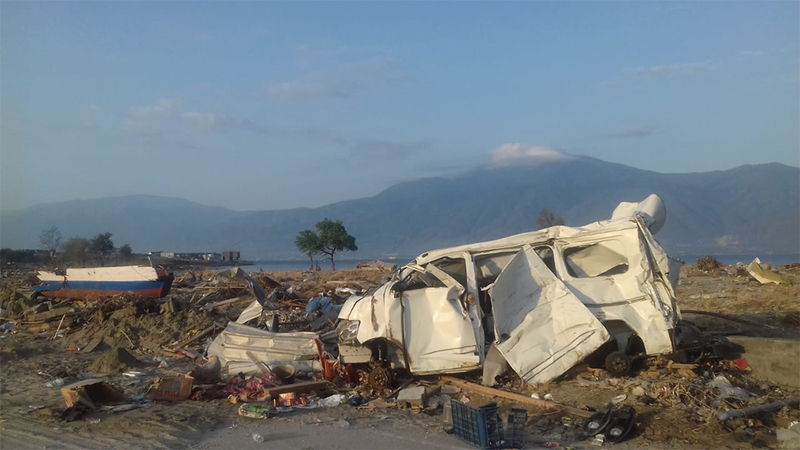 Working with local partners, BMS is helping one thousand people affected by this terrible conflict. We’re providing water heaters, which will give families and internally displaced people access to hot water. Ceramic heaters, coal and firewood are being given as ways for families to heat their homes. And we’re helping children receive thermal underwear, meaning they can stay warm while they sleep. Because of your giving, Ukrainian families will stay warm and survive the winter this year, amidst the ongoing fighting. 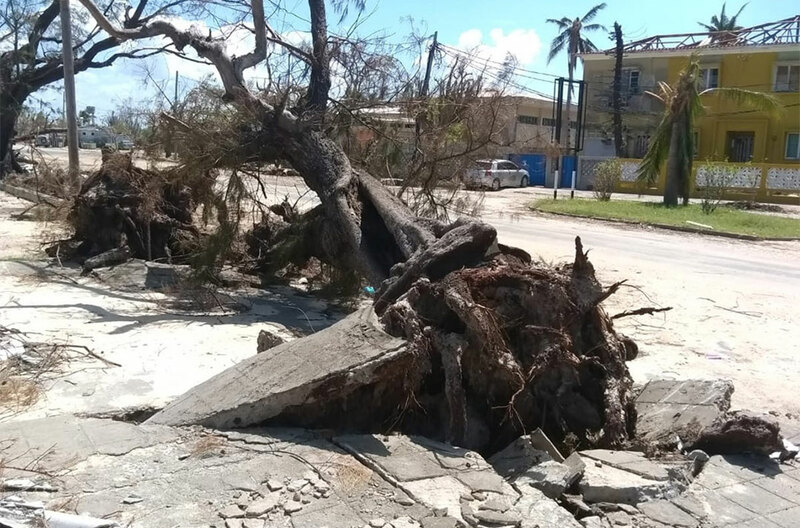 If you want to help continue BMS’ disaster recovery work, enabling us to support those trapped in wars, conflicts and natural disasters, consider giving today. All children’s drawings look the same. Stick-thin parents. Triangle-and-square houses. Cheerful colours. Perspectives that shift and bend like reflections in bubbles. But, when you look a little closer, some children’s drawings contain within them more pain, more of the things you and I are most afraid of, than any painting by Goya. Some children’s drawings are a shame on our world and a call to do something. These pictures were drawn by primary-age children in a BMS-supported learning centre north of Beirut. They show the children’s responses to the exercise: draw your home in Syria. That’s where these little boys and girls are from. They are some of the million and more Syrian refugees now living in Lebanon. Their pictures of home look at first like any children’s art: bright, cheerful, freehand masterpieces, just waiting to be magnetted to proud fridges. But these drawings aren’t for fun. They are part of what BMS World Mission and Lebanese Christians have been doing to help the traumatised children we’re educating deal with one of the bloodiest civil wars the world has ever seen. The olive-green tank, firing little tennis-ball shells at a house in which a family hides, the planes spitting missiles like drops of blood. Is that a baby or a doll in the father’s arms? The tears you almost fail to notice, pouring from the faces in another. The aeroplanes (or are they drones?) and their tell-tale dotted lines that seem to go straight through pencil-thin walls. These are not pictures of play-acting or the children’s favourite programmes on TV. They’re memories of trauma in primary colours. When you look, actually look, it’s almost too much. But keep going. They have to. The house on the right, with the sunflower-yellow roof and schoolhouse-red walls, is labelled “before”, twinned with a violent scribble of black (and only black), which is called “after”. One picture that we cannot show you here depicts a person being shot. Another has no details, shows no forms, is just a simple mat of Rothko black – a little boy’s remembrance of home. And then some respite. The playground scene. Seems happy enough until you translate the Arabic and talk to the child, when it becomes perhaps the hardest in the whole collection. “I miss my friends.” Miss playing on the slide and swings. It is too easy to tell ourselves that there is nothing we can do for these children. But that is a lie, meant by a selfish society to make us complacent, meant by the Enemy to discourage us. The fact is, you have already made a difference, and you continue to. 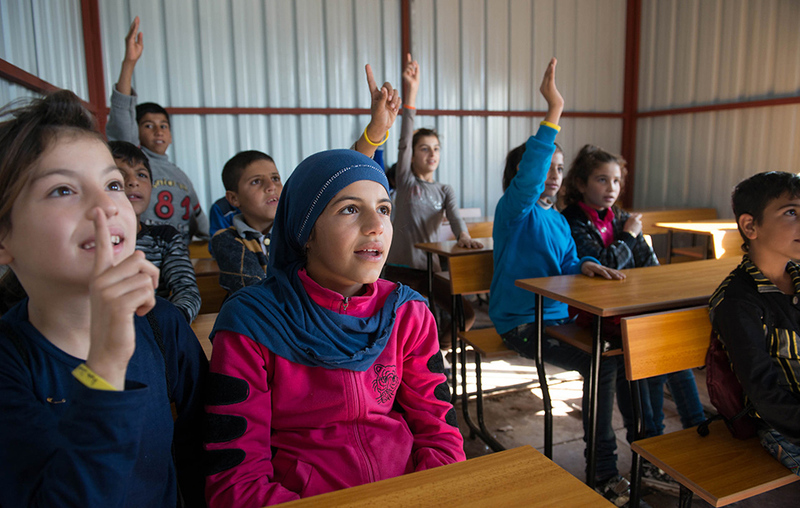 You are paying salaries for teachers in two learning centres, where 260 refugee children are getting an education. You’re helping our Lebanese partners share training and best practice with teachers, and you’re providing snacks and hygiene packs to kids who otherwise might be distracted by hunger, nits and sickness. 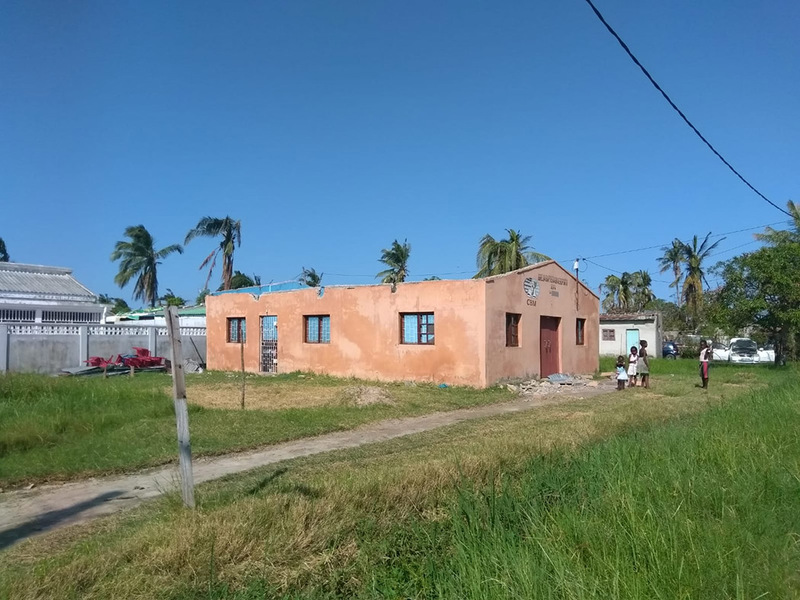 You’re building an extra classroom in the north of the country and helping local Christians who started this work to provide a safe and stable space for children to learn and have a childhood for years to come. These children have seen things most of us would never recover from. They’ve fled city after city, playing hopscotch on a burning map to get here. Your gifts and your prayers are giving them new colours and new memories to draw. This article originally appeared in Engage. Hit the button on the right to subscribe to the BMS magazine for more great articles about the life-transforming work you’re involved in across the world. As South Sudan suffers through famine and civil war, BMS World Mission is responding to urgent needs. BMS is responding to urgent needs of the most vulnerable who are facing a famine in South Sudan. Put yourself in these shoes: you’re born in north-eastern Africa, into a country with a history of war. From 1955 to 1972 and 1983 to 2005, millions lose their lives. And then there is hope. 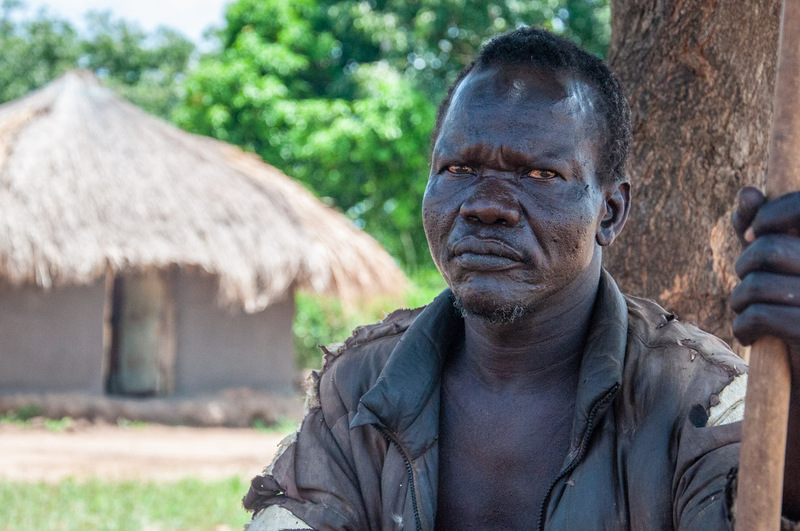 In 2011, the place you’re from becomes its own country – South Sudan. But hope vanishes all too quickly. In 2013, civil war breaks out. Your safety is threatened and you are forced to run. You leave everything behind – your home, your possessions and people you love. You travel many miles by foot to a refugee camp in neighbouring Uganda. Tired and hungry, you reach the camp to find out that food is running out. How will you survive the famine? How will you ever know peace? It’s hard to even imagine this kind of life, if you’ve lived in the UK for most of yours. But it’s a reality in South Sudan. Over two million people have been forced to flee their homes because of the ongoing civil war. Today people are displaced throughout the country and across borders into neighbouring countries. And now these people are at risk of starvation. BMS is responding to this urgent need. 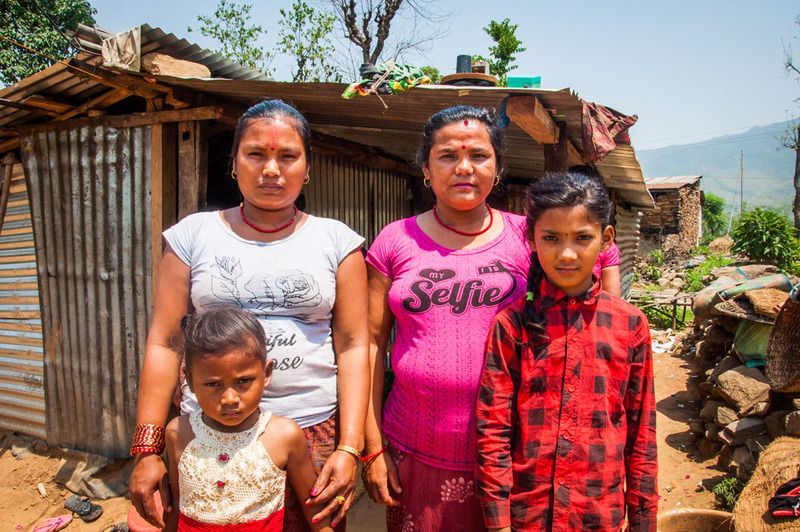 Most recently we’ve given two relief grants of over £26,000 that will help around 1,400 people. Watch the video below to hear from Steve Sanderson, BMS Deputy Director for Mission. He shares how BMS is responding to the famine in East Africa and the importance of relief work at BMS. 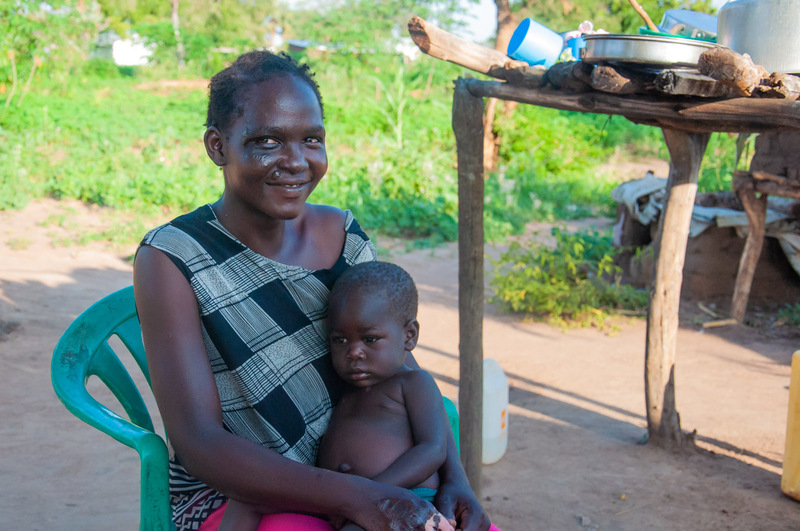 One of the grants your giving has made possible will help the most vulnerable Internally Displaced People (IDPs) within camps in Juba, the capital of South Sudan. Poor living conditions, an extremely high number of people in the camps and food shortages have made it a desperate situation. 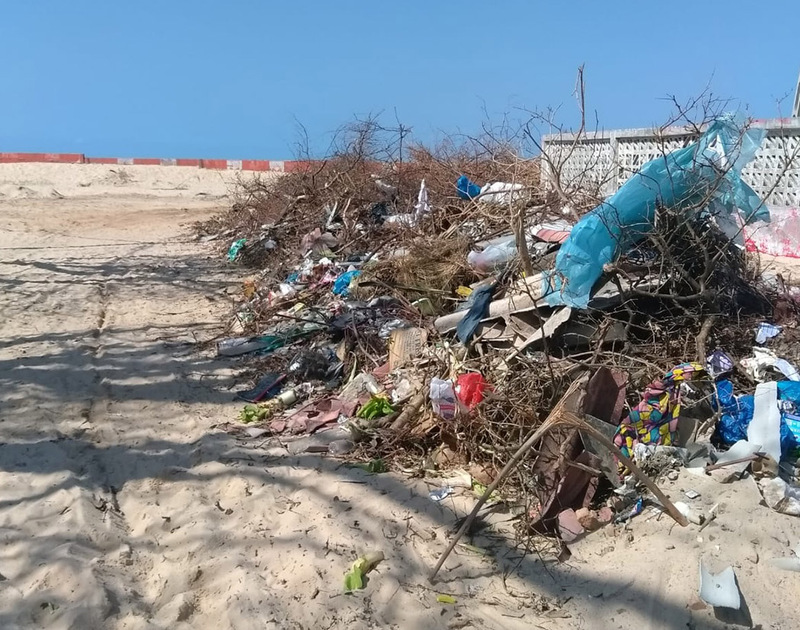 To help, we are giving food supplies like beans, maize flour and cooking oil to around 800 people, with priority being given to pregnant women, households headed by women, disabled people, the elderly and children. The other grant BMS is funding will support a project providing emergency food rations and tools and seeds for harvesting crops for IDPs in Kajo-Keji County, near the border with Uganda. 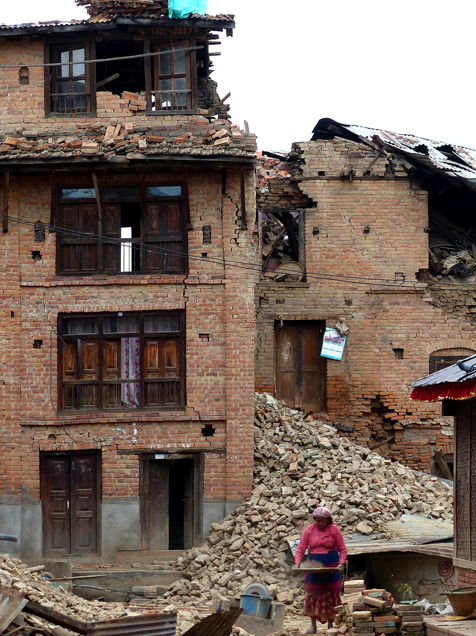 Around 600 vulnerable people will receive emergency food rations. Around 100 families will also receive saucepans, cups, plates, buckets and jerry cans. Beyond just handing out food, this project is also equipping and empowering people to grow their own food by giving them tools and seeds. This should provide an additional layer of food security for people in the next few months. Both projects have already begun, the first steps being to identify the people who will need help most and training workers to help them. 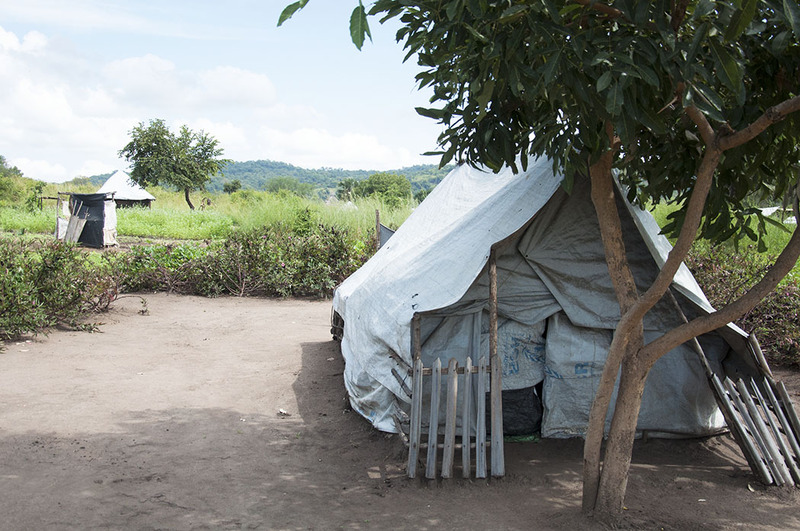 BMS volunteer, Carwyn Hill, is assessing the situation in South Sudan to identify the best way for BMS to support IDPs within the country and refugees in camps in Northern Uganda. Steve Sanderson, BMS Deputy Director for Mission, knows how important it is to ensure our response is most effective in this fragile area and not forget the people of South Sudan. It’s really hard to put ourselves in someone else’s shoes. But it’s important. We must not forget the people of South Sudan. We must all keep helping and praying. Thank you for your prayers and giving. Want to do more to help people in South Sudan? 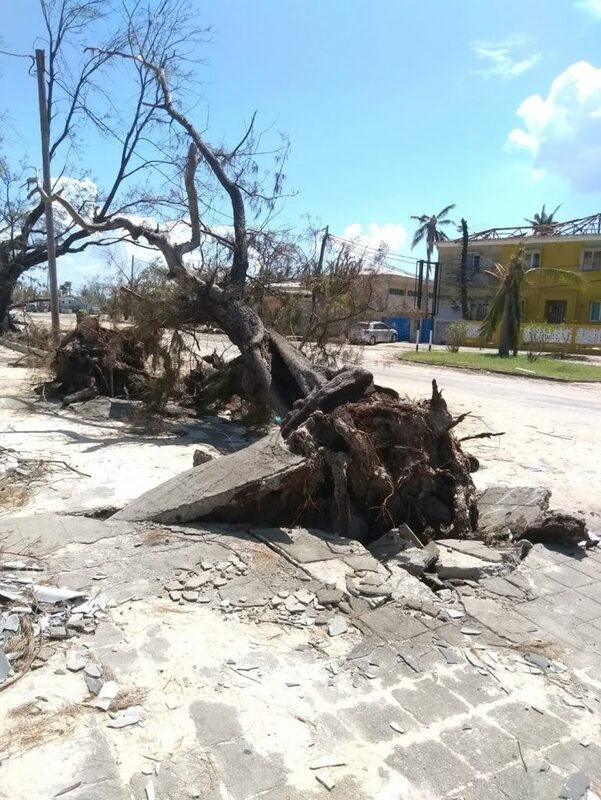 One way you can is by giving to BMS disaster recovery ministries right now. • Pray for people who have lost everything, that they would feel God’s peace and practical help. • Pray for the people of South Sudan who have faced significant instability due to famine, conflict and displacement. • Pray for people working on the ground in South Sudan. Pray that God gives them wisdom to find resolutions. • Pray for the new work BMS is exploring, that we would identify the most effective ways to help in this time of desperate need. 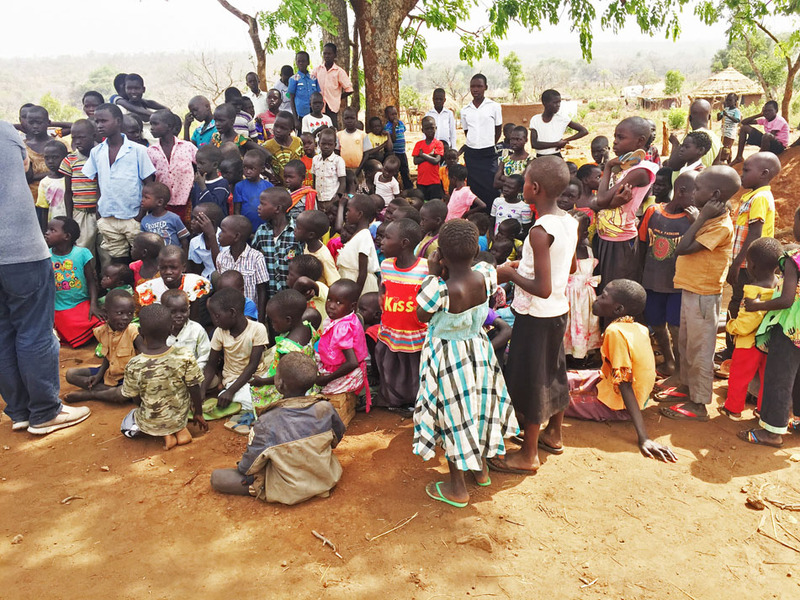 • Pray for South Sudan’s neighbouring countries, that they would continue to be welcoming hosts to refugees and that this added strain would not lead to more conflict.